Now that the brutal heat stress of summer is behind us and there is a chance of rain in the forecast, many of you might be starting to wind down your irrigation system and rely more on natural rain or supplementing water needs by hand. But, did you also consider now is the time for an audit of your irrigation system? Did you lose plants due to a lack of water? Did areas of your landscape flood? Did areas of your landscape not receive enough water? Did your system come on in the rain or water at night? If you answered yes to any of these questions, it could mean your system is in need of repair. Fall and winter are the prime times to repair, refurbish or replace your current system. Most lawns and many landscape plants will significantly slow down or go dormant in the cool season; and because rain is more abundant, you’ll use your irrigation system much less. We’re getting close to the point where you can turn your system off, and simply run it manually as needed. This also gives you the opportunity to have the system fully inspected. By summer, your system will be up and running, watering your lawn and landscape plants the way they should be watered, meaning less diseases, pests and loss of plants. While we don’t offer irrigation audits in-house here at Soils Alive, we can put you in touch with a certified irrigation specialist who can perform one for you. 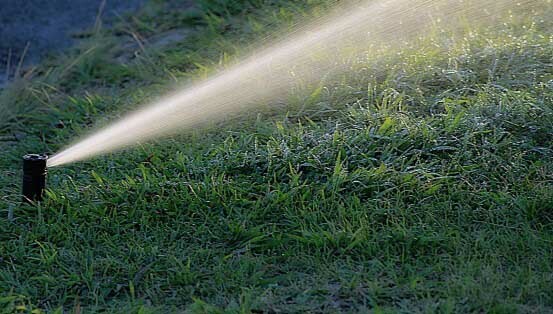 They will check for leaks, broken sprinkler heads, water pressure or distribution problems, and will ensure your system is programmed to water at the right time of day and for the best length of time in each zone of your landscape. Lawns, trees, new plants and established plants will all need various amounts of water and setting zones to all water the same way might be a reason you are losing plants or areas of your lawn. Remember, properly watered plants and lawns mean less plant replacement. Don’t forget, healthy soil requires the right amount of water. The drought of summer can cause compaction which in turn can kill off beneficial microbes in the soil that feed your plants, improve soil texture and increase nutrients. As you are focusing on your rejuvenating your lawn this fall and winter, taking a look at your irrigation will be a benefit for your lawn and soil’s overall health. Need a recommendation for a qualified and certified irrigation specialist? Give us a call.